To ensure we protected the delicate brickwork of this old barn, we covered the entire site in plastic sheeting. 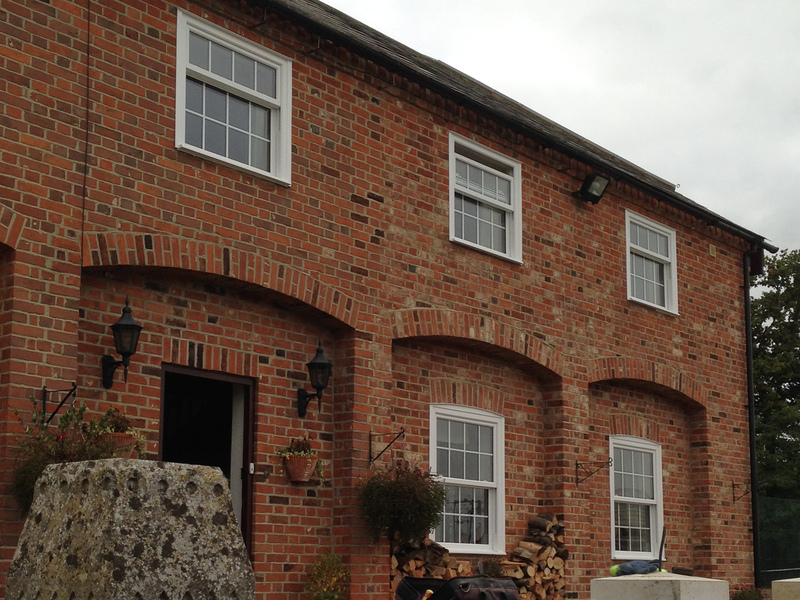 We ensured all on the windows were the correct size according to the paperwork provided by our surveyor and the specification sent to our window builder. We then manually removed the windows one by one, paying extra attention to ensure nothing was damaged or disturbed in the process. We could then install the new windows, which of course fitted perfectly in the spaces left by the old windows. Each new window bolted and insulated with expanding foam to weatherproof them and trimmed and sealed around inside with plastic trims.